Still need Help Finding the Right Bike for You? ElliptiGO® offers the fun and fitness of stand up cycling in both the Stand Up Bike (SUB) models and our long-stride models. All of our bikes share many of the same benefits of stand up cycling. Learn about the unique characteristics of each bike below, and use our handy product-selector tool to find the right bike for you. Need Help Finding the Right Bike for You? With a running-like elliptical motion, delivers the ultimate in riding comfort, performance and versatility. Enjoy a familiar circular pedal stroke similar to a conventional bike, but with more comfortable positioning. Works quadriceps more than our long-stride models. Experience the circular pedal stroke you know in an brand new way on the MSUB. Works quadriceps more than our long-stride models. Long-stride models deliver a running-like experience and balanced muscle activation. 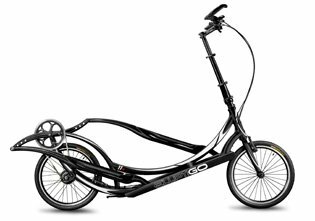 These models feature adjustable stride lengths, are the easiest on joints, and are adept for longer rides. Custom pedals offer a lightweight, responsive design, engineered to channel energy into motion while rising up to ride. Create power and motion with custom lightweight, responsive pedals designed for riding tall on the trail. Provides stability and comfort and delivers optimal power transfer; multiple foot positions allow targeting different muscle groups. You’re looking to navigate the local roads in your city or neighborhood. You prefer to stick to paved surfaces such as streets, bikeways and paths. You’re in search of adventure. You prefer to tackle dirt trails, fire roads, or single-track with mildly technical obstacles such as rocks, roots and mud. You want to keep your options open. You enjoy changing it up and riding on whatever type of path you encounter in both urban and natural environments. Where you’ll be riding, you can see for miles. Whether on paved surfaces or dirt trails, you rarely encounter any kind of elevation and can cruise comfortably. The roads and trails where you will ride rise and fall gently. While you do encounter some elevation, your climbs would be considered moderate or mild. You are always up for a challenge, and where you ride provides you with tough climbs to conquer. The roads and trails where you ride have steep and/or lengthy elevation gains. For detailed specs on each Bike please visit the product pages or download the PDF to compare. Still need Help Finding the Right Bike for You? Use our Bike Finder!